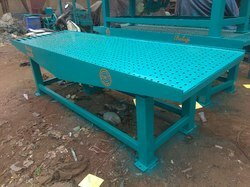 We are a leading Manufacturer of vibratory table from Ahmedabad, India. We are instrumental in providing a wide range of Vibratory Table to the patrons. Vibratory Table Size: 9 x 2.5 and 10 x 2.5 Sq. ft.